Set of 8 boxes of graduated size. Lovely decorative item. Great for storing. 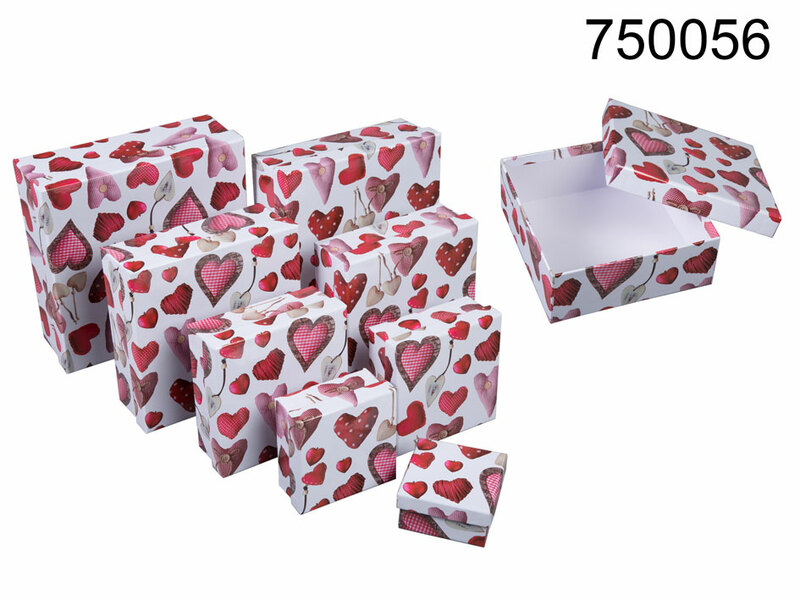 Great gift boxes for any occasion, especially Valentine's Day. Dimensions of the biggest box: 22 x 22 x 8 cm. Each box fits inside the next larger one.